Understanding SEO requires understanding the techniques involved. 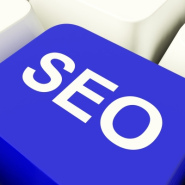 This requires prior knowledge of how Search Engine Optimization works, planning, and strategizing. Aside from researching the right keywords, building reputation and content of great quality which requires a lot of effort, there are other methods that one can use in getting that boost. Some would probably get the help of SEO services but if you want to understand more about how to build your website’s rankings from scratch, use the following techniques. One of the techniques would be putting your address and contact information on every page of the website. This is especially applicable to those who own an online business. Google’s interpretation of a website that has the contact information and address on every page is a website that has value because of its user friendly nature. Therefore, it gives search engine rankings to it. After putting the address and contact information on every page, another technique would be claiming ownership of your Bing and Google local listings. This would mean having a physical location and finding your company online in order to reap the benefits of this technique. Once you’ve found your company, you can now start claiming it. By connecting your website to its local listings to both search engines, your website or business will be visible with the search engine rankings of both Bing and Google. Another one of the techniques is to install a security certificate. Installing an SSL certificate is one of the methods that help in signaling that your website is relevant. To find out if your website has one, there would be an HTTPS before your website’s url. The S after the HTTP would mean that your website already has an SSL certificate. If your website still doesn’t have an SSL certificate, then it is time to invest in one. Another technique would be creating an XML sitemap. This XML sitemap is particular file that is formatted for creating and uploading the root of your site. It is also what search engines are looking for which also determines how important and relevant your site is.